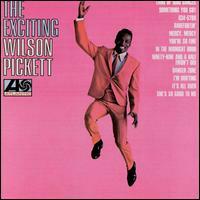 James Brown once performed "Cold Sweat" with Wilson Pickett also known as the Wicked Pickett. The video shows the performance along with a rendition of one of the songs that made Pickett famous in the 60’s, “In the Midnight Hour.” The rendition is almost iconic because it depicts maybe not an oedipal rivalry, but an Oedipal triumph though it is unclear who is Oedipus and who the unfortunate Laius in this case. Brown is giving one of his concerts and he calls Pickett up from the audience. Pickett is dressed in black tie and tails and the King of Soul sports a more heterodox attire, a glitzy regal looking jumpsuit which enables him to bare his chest both physically and metaphysically. If you notice any video of James Brown, he is a commanding figure. His diminutive but muscle bound form is a Napoleonic presence on stage. However the minute Wilson Pickett take the mic, he overshadows Brown. In fact his rendition of “Cold Sweat" is not only compelling, but aficionados might even think better. Brown seems to slink away and you can detect an unmistakable envy even jealousy in his body language. He is bobbing and weaving, but he is like a fighter who isn’t punching back as Pickett totally overshadows him. The battle might have been won when Brown offers him an encore, but once Pickett unleashes “In the Midnight Hour" it’s like a team experiencing home field advantage. The war was lost. Neither Pickett nor Brown are alive so we’ll never know what either was really feeling, but like the "Thrilla in Manila" or the "Rumble in the Jungle,” or Monty Python’s famous, Mr. Creosote projectile vomiting scene, this is one video you don’t want to miss.